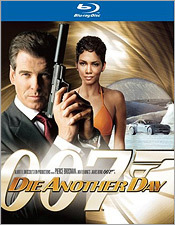 Die Another Day was the last film in the Bond series to star actor Pierce Brosnan (previously of TV’s Remington Steele fame) as Agent 007, and it represents the zenith of the franchise’s modern tendency to embrace the camp, the glib and the fantastical. The film opens with Bond being betrayed and captured while on a mission to kill a rogue military officer in North Korea. After more than a year of torture in captivity, Bond is eventually released in a prisoner exchange which also frees a terrorist named Zao from British custody. Realizing that Zao knows the identity of the person who betrayed him, Bond traces Zao to a shady British billionaire named Gustav Graves and soon uncovers an elaborate plot to spark an all-out war on the Korean peninsula. Along for the ride (and the usual sexual intrigue) are an NSA agent named Jinx (Halle Berry) and the icy Miranda Frost (Rosamund Pike). Die Another Day looks generally very good on Blu-ray Disc, though right off the bat you’ll notice that location text titles are surprisingly washed out and blurred. Something obviously went awry with the optical work involved. In any case, as the film continues, the image is quite good, with excellent color and detail. The blacks look a little gray, but contrast is adequate. Light grain is visible. Sonically, the DTS-HD 5.1 mix is excellent, with a big, wide soundstage, lively surround channels, smooth panning and terrific bass. Once again, all of the extras on the previous Ultimate Edition DVD have carried over to this Blu-ray version, some of them upgraded to HD. There are two commentary tracks, including one with Brosnan and Pike, a trivia track, numerous featurettes and more. Unfortunately, that’s not good enough in this particular case – the original 2-disc Special Edition DVD release from 2002 offered ample bonus material that’s available nowhere else, including the very good Inside Die Another Day documentary (produced by Charles de Lauzirika), multi-angle scene explorations, a digital grading featurette, Madonna’s music video for the theme song and more. Why this material wasn’t carried over to the Ultimate Edition DVD remains a mystery, and it’s unfortunately still not available here. 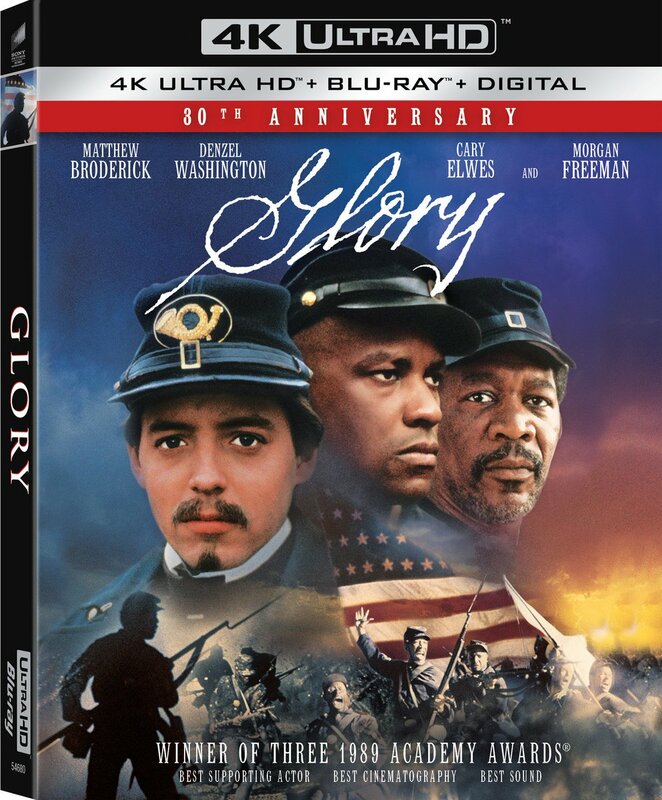 So if you want everything, you have to keep Disc Two of that original DVD release in addition to this Blu-ray. Die Another Day is far from our favorite entry in the Bond franchise, but it’s not the worst either. In any case, we remain grateful that the producers decided to ditch the camp after its release, and take 007 back to his roots with the recent Casino Royale and the forthcoming Quantum of Solace. We do have a certain fondness for Brosnan as Bond, of course, but Daniel Craig has taken on the role so completely that it now seems impossible to think of the character without him. Bond fans will certainly want (and be glad to have) Die Another Day on Blu-ray, but if you’re new to the franchise, we suggest starting your viewing elsewhere.